This page is dedicated to the men and women who have supported and guided the San Diego County Orchid Society since it's founding. We welcome life histories of past members. Information should be submitted to the Board of Directors for inclusion on this page. Please include the year of birth and year of death and if at all possible a good photo of the member. As time passes, older material will be moved to an archive page but will always be available. Harry Tolen introduced me to orchids in early 1992. He coached me about orchids and almost immediately coaxed me into joining the San Diego County Orchid Society. He patiently put up with endless hours of my questions about orchids. Harry knew orchids; he knew and understood the technical side managing to apply the technical to the everyday application. He was generous with his knowledge about orchids always willing help and guide anyone from the novice to the accomplished grower. For many years he was the newsletter editor for SDCOS and always included his own column about orchid culture. Harry could grow orchids. It seemed that everything in his collection thrived. He said time and again that meeting minimum requirements orchids are tough enough to survive. He once took the challenge that orchids could grow in almost any medium as long as watering was modified accordingly. To prove his point he planted a Laelia anceps in shards of glass from a broken patio window. The anceps flourished! It grew into multiple growths with multiple spikes of blooms. Harry enjoyed company and people, he was well known for his weekly “Coffee Klatch,” setting aside time for any SDCOS member to get together on his patio for discussion about orchids, current events or plain old gossip. He was a frequent presenter of our culture class. One time while conducting a session on mounting orchids he admitted he might look a little clumsy saying, “I don’t want any of you sweet little old ladies running up to help me.” Yes, Harry had a fatherly characteristic about him especially with his constant laugh-giggle that would open doors of friendship. Thank you Harry, may you rest in peace. 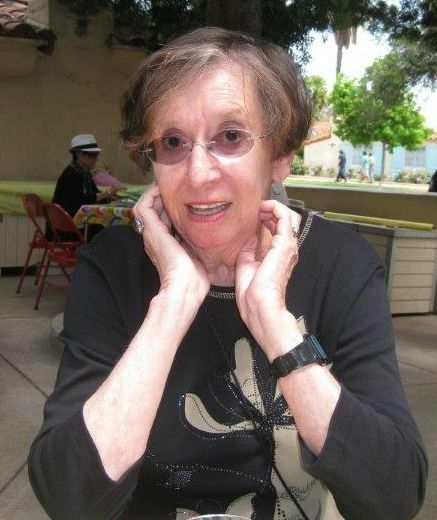 SDCOS friends are mourning the sudden passing of Siv Garrod on Tuesday, June 27th. Siv joined our club in 1985 and enjoyed participating in our club’s Species group. For many years, Siv organized the sign up of hosts for the monthly Species group meetings. As an avid collector of orchid species, she was an expert in their culture, enjoying their flowers year after year. She built an enviable collection. One of her favorites was the genus Neofinetia, also known as the Japanese Wind Orchid or Samurai Orchid. She always happily volunteered her time at our shows, helping participants to register their orchids for judging, ensuring that plants were in their proper sections, putting out section signs, and sharing her knowledge of plants when judging the species sections, her favorite. After judging, Siv would, on her own initiative, pick up and sort judging materials to be stored away until our next show, then join her friends to visit and enjoy the show. Often she donated orchid divisions from her collection to Conservation Sales and helped buyers select plants that would grow well for them wherever they lived. Siv also participated on our Conservation Committee helping to evaluate research and project proposals worth funding. Outside of SDCOS, Siv’s expertise was valued at the San Diego Zoo’s orchid house where she volunteered one day a week for several years. Siv was also an avid grower of roses, enjoyed painting in watercolor, and was an active member of the House of Sweden, participating in all of their activities and working at the Glögg booth every December Nights in Balboa Park. Professor Gustaf Arrhenius, a founding scientist of UCSD, was instrumental in getting Siv to move to San Diego in 1968. At UCSD, she worked with many distinguished scientists, one of them being Martin Kamen, who discovered Carbon 14. She was a research chemist at the Susan S Taylor Laboratory from 1987 until her retirement in 2004. She had several published papers on photosynthesis. It was at UCSD where she met her husband, Chris Garrod, Emeritus Minister of Networks, orchid spouse, and member of SDCOS. Siv and Chris shared 31 years of happy marriage together. We have lost a wonderful friend and devoted grower in James Wright. He was always cheerful with a warm greeting and a hug whenever I saw him. Even though his feet must constantly have hurt, he came out anyway and participated in our shows and meetings. He was so generous in sharing his amazing garden, hosting workshops, meetings and tours. No one who went there will ever forget his beautiful palm collection, his orchid houses, and all the little creatures on his jungle paths. It was like Costa Rica in the middle of San Diego. He fed the hummingbirds and planted milkweed for the monarch butterflies. His garden was a reflection of his character and a magical place. I am so grateful that the last species meeting was there. He seemed so well, it’s hard to believe he’s gone. Jim had a guest book and really cared that you sign it on every visit. I hope everyone will sign the guest book at our next meeting to show his family how his many orchid friends are missing him. He lives on in our hearts. It was just recently that we had our species orchid meeting in your garden and now you have moved on. It is so hard to believe that I will never again hear your booming voice ringing across the room. Upon hearing that sound I always knew that all was well with the world. The plants knew too! You and I almost became relatives once. Remember when my oldest daughter, Heather, was in high school and your nephew would come by every night late and leave a rose on her windshield? I thought that was so romantic but she was not buying any of it. If that would have worked out, we would have been sharing family events all these years! Even though it didn't, I always felt like we were family - a greater plant loving family. Maybe that is even tighter than a blood family, who knows. You were always so generous in inviting me to go with you on plant excursions. The one I remember best was when we went with Nancy to Isley's Tillandsia heaven. I had never seen so many cool plants hanging all over the place. I picked out a few things that I needed and realized I did not have enough cash. Which ones do I put back? Discussing this with you I was amazed when you offered to loan me the money to get all of them! You are such a special guy in so many ways. It is not looking good for me to have any of your poppy seed bread again. Remember when you would make it for the species meetings? It was the most delicious dessert I had ever eaten. There is no way any commercial bakery could make anything so crunchy, slimey, sweet, wrapped up in that great bread. It was a real treat for the senses. You would come into the meeting carrying it on a platter wrapped in tinfoil still hot from the oven! I can almost taste it right now. So, you have left us now and moved on. Just know that you have left your mark on all of us left behind. We will always remember and treasure our fun times together, your love for plants, and all the quirky aspects of your personality. My good friend, C, is on the kidney transplant list. For those of you who did not know, Jim had a kidney transplant several years ago. C was quite apprehensive of the whole transplant process. When I told Jim about her, he immediately called her and suggested we have lunch and take a garden tour. He wanted to answer all her questions and alleviate her apprehension, as only Jim can. His garden is a piece of paradise whose zen vibes can calm anyone. So with Jim and his garden I knew C would be in good hands. We started out talking about Carl Hiaasen books, moved on to biowarfare and later found out through our meandering conversations that C and Jim both worked at UCSD medical labs and knew similar people. What a small world! We ate lunch and than embarked on a garden tour. C was mesmerized by the beautiful orchids, palms, bromeliads and hummingbirds. At the end of the tour, she felt informed, relieved and ready to tackle anything. He gave her hope, strength and understanding. It was a very special meeting and she so appreciated Jim's kindness. Thank you Jim for being so special! I welcome each of you and thank you for joining us today to remember Jim. Jim certainly was a wonderful, kind man. Knowing him brought happiness to us all. Jim embodied a spirit of volunteerism and sharing. Jim was always eager to share information, often guiding novice growers with wise advice. He was an enthusiastic volunteer where he could, in many Societies. He always volunteered to judge plants at our shows over many years; he has given many talks, sharing his wealth of knowledge. Jim also regularly opened his home and beautiful gardens, he fondly, and appropriately, named “A Botanical Haven”, for tours, meetings, and workshops. I always relished discussing the culture of various plants with him. I’ve learned much from his experience. Jim proudly displayed numerous awards from our shows including an AOS award. He humbly accepted these with joy. You’d see a sparkle in his eye. Last May, at the San Diego Floral Association’s “Our Park-Our Treasure” Balboa Park Centennial Show, he won the AD Robinson Award, their top award, for his Cattleya bicolor, a very floriferous specimen. Many of these awards are displayed here. In Jim’s spirit I encourage you to be curious, share, and volunteer. All of these qualities will make you a better grower, becoming more accomplished, wiser and happier. What I’d like you to take away with you today is to remember Jim’s spirit of volunteerism, kindness and a willingness to share knowledge and experience. Thank you. It is with sadness that we announce the passing of Liz Hildreth. Liz was a long time member of SDCOS, an avid orchid grower who enjoyed drawing and painting orchids. Below are a few words from her dear friend Susan Chenven. Liz was a passionate orchidist who had a special interest in cymbidiums & vandas. Most of her vandas grew in her greenhouse, but she was one of the few people I've met in Southern California who could grow dark-colored vandas outside in her lathe house. Her interest in orchids was learned from her father who grew orchids in Northern California where Liz grew up. Her father had a special love of cymbidiums & passed a number along to Liz. She had over 60 mature cymbidiums, almost all spiking or blooming when she passed away. Liz loved traveling & attended three World Orchid Conferences: Dijon in 2005, Singapore in 2011, & Johannesburg in 2014. She also incorporated orchids into other trips, an orchid tour to Columbia, a visit to Miami and trips to England & the Channel Islands. She was a warm & empathetic person & I was lucky to be able to travel with her and meet many avid orchidists throughout the world. Some became valued friends. We had planned a trip in February to San Francisco for POE & to the WOC trip to Ecuador in 2017. She is donating some of her orchids to SDCOS Conservation. David Reid of Reids Orchids is sad to announce the passing of his dear wife Joyce. 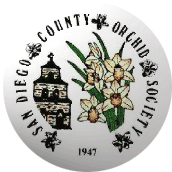 She and David were members of the San Diego Orchid Society for the past 45 years. 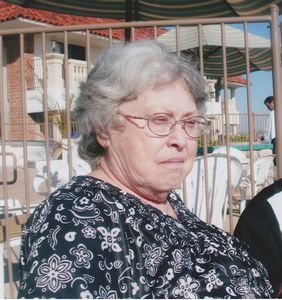 There will be a memorial service for her at Coastline Baptist Church, 557 Vista Bella, Oceanside, CA, Thursday, January 17, 2013 at 11 am. She is survived by her husband, two brothers, three sisters, three children and their spouses, three grandchildren and two great-grandchildren. She will be missed by many friends and relatives. Our society recently lost one of our long time members, Ray Brandt, who was known to his family as “Uncle Ray.” Ray was born in Riverside, California and lived most of his life in California with the exception of living in Florida for a few years. He graduated from San Diego High School and shortly thereafter, signed up for Military service from 1943 to 1951. He served in World War II and also the Korean War. On returning to the San Diego area, he built a couple of homes, one in Oceanside, just steps from the ocean where he began growing and selling orchids under the name “Beach Boy Orchids.” It was during this period that his friendship with Dave Reid began. He and Dave sold orchids together at our Spring Shows. Besides wanting to be closer to his family, the climate for growing orchids next to the ocean was not the best. He moved to a beautiful home in El Cajon where he really loved the area and the weather and where his orchids grew better. In addition to his orchids, Ray also enjoyed growing roses. His orchids were truly his prized hobby. He spent many hours building his greenhouse and worked with his orchids daily. When he was only able to get around with his wheelchair, his relatives, Jolyne and Al, would bring the orchids that he would pick out each month to take to the meetings to share with our members. He would sit outside on the patio and work on the ones he chose to take to society meetings. He typically brought in enough plants to share that would cover two tables. He was also very faithful each week to make the long trip to his good friend, Dave Reid's home to help him separate orchids and replant them into pots. He cherished his friendship with Dave Reid. He also loved the many wonderful friendships that he made over the many years from being a member of the San Diego Orchid Society. Ray will truly be missed by everyone who knew him, as he has left a legacy for others to follow. We cherish his life and his memory will go on for many years to come. Our society recently lost a life member, Martha Hodges. Martha was born in Cincinnati, Ohio in 1935. She passed away on November 5, 2013 of her recent illness. She and Bob Hodges were married in 1969. Professionally, she worked as an endocrinologist. She gave Bob much support and encouragement with their affair with orchids. Bob always donates plants in support of our society at our shows. They were both active in setting up the show at our big spring shows.